Q. How can I locate a DVD? 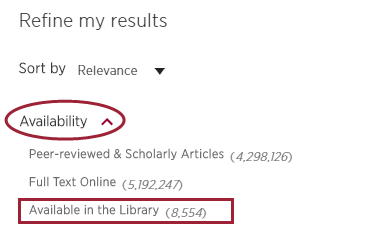 Using the Library Search Box on the Library website, enter your search terms and click on the Search box. In the results page, use the facets on the left hand side under 'Refine my results'. 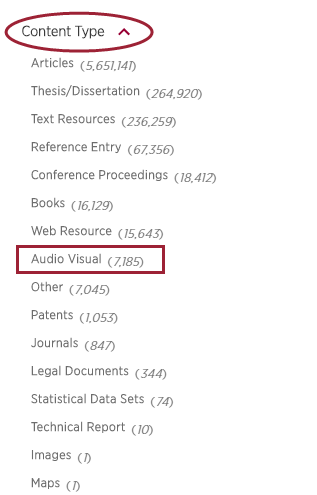 To be certain that the results that appear are in a DVD format, click on the title of the item and underneath 'More Info' check the information provided alongside the Format field. DVDs and streaming videos of popular movies and TV shows, can be accessed in the Study Break: Recreational Reading, Viewing and Listening subject guide.